Words cannot always appropriately express the horrible things that people do to each other, and to themselves. We have acquired a large collection of brutal, horrible crime scene photos ever since Mullahs invaded Iranian soil. If you were somehow under the delusion that crime has gotten worse in recent decades, this will prove otherwise. During terror times of 1977-1979 William H. Sullivan serving as the United States of America's ambassador to Iran said; "I know nothing about this country called Iran." Despite Mr. Sullivan's self professed ignorance, he stood behind a man and described the cleric by the name of Ayatollah Khomeini as the equivalent of Iran's Gandhi! 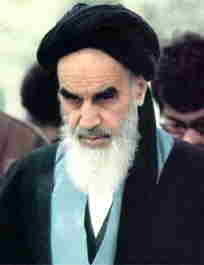 If Mr. Sullivan had bothered to read just a few pages of Khomeini's books would have soon realized that not only this figure was straight out of the dark ages and is not even remotely a Gandhi type figure, but that he had a permanent agenda and perhaps "mission" for a global conflict. Now a days, neither Mr. Sullivan nor any of 52 American hostages would desire to compare Khomeini and his helpers like Rafsanjani, Khatami, Khamenehi, Montazery, Fallahiyan, Shahroudi, Khatami, Ebrahim Yazdi, Tabassi, Karoubi, ... etc., with Gandhi or Gorbatchev. 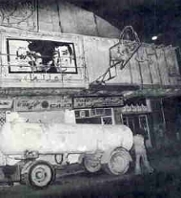 The doors of Cinema Rex, Abadan, was closed, locked, fuel used to arson the movie theatre and burned down, several hundreds of people died. Early crime of Khomeini and his brain-washed followers arson the theatre!